This is the first of a three part series, click here for the second part.. This annual soap opera which takes place from the end of March to the beginning of May, in which players announce they're testing the waters only to come back to school while others plow full steam ahead and hire an agent, is intriguing but it can also expose the unfortunate side of the "one and done" mentality that is so prevalent today. With that in mind, I've decided to try and make sense of which college players should and shouldn't declare for the NBA Draft based on their talent, how much they stand to improve if they stay in college, and where they are likely to be drafted if they were to take the plunge. One of the biggest knocks on Tobias Harris is that he isn't the most athletically gifted player NBA scouts have ever seen. He's also in somewhat of a tough spot because he's not quite big enough to play under the basket in the NBA, but he also figures to be over matched when trying to guard NBA caliber small forwards. At the same time, Harris has solid size at 6'8'' and 226 pounds and has a fairly polished and versatile skill set that can succeed in the NBA. He has the ability to do multiple things on the court and his handle, shooting ability, and intelligence will serve him well at the next level. As a freshman at Tennessee, Harris didn't set the world on fire but he was as solid and consistent as any first year player in the nation. Considering all of the turmoil that surrounded the Volunteers this season, it's a testament to his maturity and skill level that Bruce Pearl's three ring circus didn't affect Harris' production on the court. Harris would benefit from another season at Tennessee to further fine tune his game and put on a little extra weight, but he already has an NBA skill set and the uncertainty at Tennessee this upcoming season puts him in an awkward situation. Because of this, Harris would probably be better served in the NBA rather than transferring and having to sit out a year or going through a regime change at Tennessee which could potentially hurt his draft stock. Depending on how he grades out, Harris could be a mid first-round pick this year and when you consider the amount of talent that will be coming out next year, the potential exists for him to see his draft stock fall in 2012 despite improving his game and becoming more NBA ready. There were only a handful of players who had a more impressive season in the college basketball world than Derrick Williams. The sophomore power forward emerged as one of the nation's best players and showcased an extremely efficient and versatile offensive game that has many NBA scouts falling in love. Williams explosive finishes at the rim have made him a YouTube sensation but he also possesses the ability to be effective when putting the ball on the floor and he can step out and connect from long range- all of which make him a very intriguing pro prospect. In college, Williams proved to be incredibly difficult matchup because of how many different ways he could score and although he doesn't have ideal NBA size, standing just 6'8'', it doesn't seem like this will hinder his ability to be an effective professional player. Williams has solid athleticism, plenty of strength in his upper body, and he's one of those players who always seems to be in the right place at the right time to make a play. He posted some great games this past season, but Williams' performance against Duke in the NCAA Tournament in which he exploded for 32 points on 11/17 shooting, 13 rebounds, and delivered a couple of thunderous finishes at the rim, made a serious statement. After that game (as it had all season) Williams draft stock continued to rise and he now finds himself in the conversation as a potential number one overall selection. There isn't too much Williams can gain if he stays at Arizona for another season and because he possesses an NBA ready body and offensive repertoire, it wouldn't make much sense for him to return for another season. 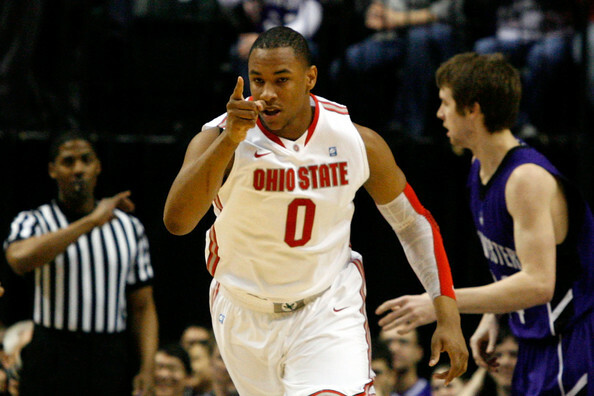 Jared Sullinger had a dominant freshman season under the basket for an Ohio State team that was arguably the best in the nation. At the college level, there really aren't too many players who can contend with Sullinger's size and strength in the post and because of this, he bulled his way to big numbers all season long. When you couple Sullinger's physical traits with his soft touch around the rim and tenacious rebounding, there's plenty of reason to believe that the mammoth 6'9'' 280-pound power forward will be able to have success at the next level. He's a top five pick as things stand right now but there are a few areas that Sullinger could improve upon while still at Ohio State. Sullinger's size and physicality make him a special player but it's pretty obvious that he could stand to get in better shape and improve on his conditioning. This isn't a big deal in college where they play less games and the players are smaller and not as physical. But in the NBA, Sullinger would be much better served if he trimmed down. His body and conditioning will be something that NBA scouts keep a close eye on next season and if Sullinger is able to keep his weight in check it will bode well for his already lofty NBA prospects. 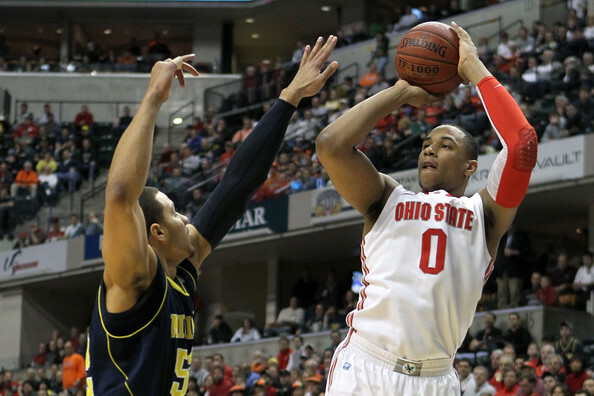 Because of how dominant he was around the basket, it can be easy to discount Sullinger's solid face-up game but another year with the Buckeyes would allow him to polish that aspect of his skill set as well. What's nice about a player like Sullinger staying another season at Ohio State is that it doesn't figure to hurt his draft stock very much, if at all. NBA teams like him because he's big, physical, and tough around the basket and he will still be that same player a year from now. At the same time, he could use another year at Ohio State to work on his body and continue to improve his game facing the basket. As long as nothing out of the ordinary happens to Sullinger next season, staying an extra year could potentially make him better suited to succeed in the NBA while keeping his lofty draft stock in tact. 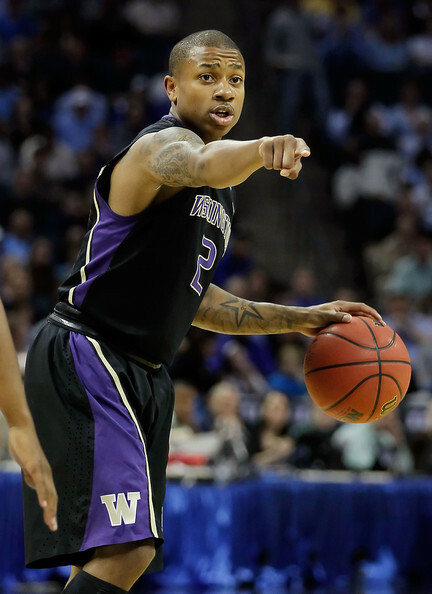 There might not be a more interesting player in this year's draft soap opera than Washington's Isaiah Thomas. He already said he was returning for his senior season only to backtrack a few days later and declare for the draft. It's anyone's guess what the diminutive guard ends up doing, but in my opinion, he should take the plunge. Before his junior season started, Thomas wasn't a player that was featured on many mock draft boards because his height prohibits him from playing anything but the point in the NBA and scouts questioned whether he could survive there. But after Thomas excelled as Washington's point guard while filling in for the injured Abdul Gaddy for the majority of this past season, many scouts began to warm up to the 5'9'' Washington native. We already know that Thomas is an exceptional athlete who plays the game with a toughness that sets him apart from most players but it seems that he's done about all he can to show scouts that he is indeed capable of running an offense. If nearly doubling his assists per game from a year ago and becoming a much better floor general aren't good enough for scouts, there probably isn't much Thomas can do as a senior to change their feelings about him. Thomas isn't going to shoot up five inches during his senior season so the questions about his size won't be going anywhere. At the same time, he's clawed his way onto most draft boards since showcasing his skills as a true point guard and while Thomas is only a projected second-round pick at this point, that's all he can really hope to be anyway. Is there a chance that Thomas goes undrafted if he declares this year? Possibly, but there's just as good of a chance that he comes back to school, settles into his familiar role as a shoot-first guard with Gaddy back running the point, and goes undrafted next year as well. At least this way, the fact that Thomas can handle the point is fresh in the minds of scouts and executives. It would be an understatement to say that Josh Selby's freshman season was disappointing and his draft stock has taken a huge hit because of it. Before the college basketball season started, we heard Bill Self call Selby the most talented kid he ever recruited and NBA scouts were talking about the 6'2'' guard as a lottery pick. But after serving a nine game suspension for receiving improper benefits, Selby struggled at times to find his place on an immensely talented Kansas roster. A foot injury also hampered him later in the season and was probably the reason why Selby was virtually invisible for the Jayhawks in the Big 12 and NCAA Tournaments. Selby's disappearing act at the end of his freshman season has his status as a first-round pick up for debate and for a kid who has lottery talent, it's a tough call to declare for the 2011 draft. Although he didn't play up to his potential this past season, Selby has plenty of aspects to his game that NBA scouts love. Whether you're talking about his aggressive ability to get to the basket, long range shooting, or defensive prowess, it's clear that Selby has the tools and athleticism that make his long-term prospects in the NBA very attractive. But it would seem imperative that he come back for his sophomore season at Kansas to show scouts that he can be a much more consistent and mature player. If Selby were to do this, there's no reason why he couldn't be a lottery pick in 2012, but he's already announced that he's going pro. Hopefully, this decision will work out for Selby in the long term. Jordan Hamilton rebounded nicely from a rough freshman season and became the go-to player on another Texas roster that was stacked with talent. 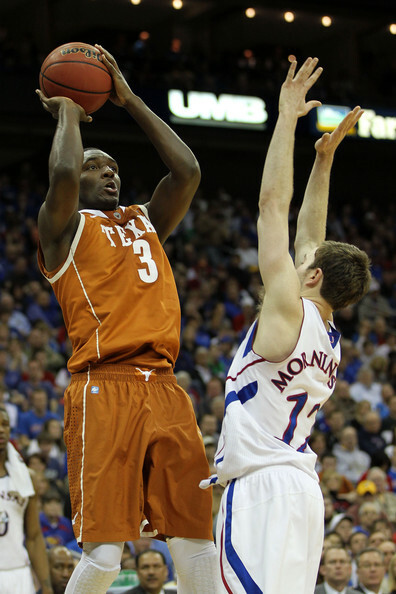 Hamilton entered Texas as a prized recruit that NBA scouts were keeping a close eye on as a potential one and done talent. But after struggling with his decision making, maturity, and shot selection, it was clear that Hamilton had to come back to the Longhorns to show the NBA that he could buy into a team concept and be more of a leader on the court. After scoring over 18 points per game and becoming a better overall team player as a sophomore, it would appear that Hamilton has accomplished what he set out to do this season. Because of this, his draft stock has risen to the point where he's being considered as a potential lottery pick who should at least be taken in the middle of the first round. The bottom line with a player like Hamilton, whose most impressive attribute is putting the ball in the basket, is that he's at his best when he's being a little selfish. Obviously, scouts didn't like the level he took things to as a freshman, but he tempered his play enough as a sophomore to let guys like Tristan Thompson, Gary Johnson, and Cory Joseph get their own shots off as well. If you're an NBA team interested in Hamilton, it's because he's a cold blooded shooter who can score in multiple ways and possesses that rare ability to hit shots whether he's wide open or closely guarded. Hamilton could come back for another season at Texas where he would hopefully be the leader of a team that finally lives up to it's immense talent and made a deep tournament run. But even then it doesn't seem all that likely that his draft stock would improve a great deal, especially when you consider the amount of talent that figures to be coming out in 2012. Hamilton isn't a complete player by NBA standards but he has the potential to be a great scorer and thanks to a very good sophomore season his stock is high enough where he should seriously consider making the leap. 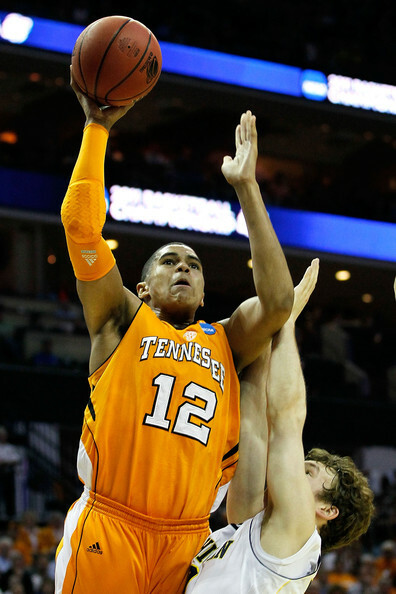 It would be hard to find another player who did more for his draft stock than Jeremy Lamb did in the NCAA Tournament. Lamb's length, athleticism, shooting ability, and defense were a major reason why UConn won it's third National Championship and he's probably a first-round pick right now based on potential alone. The best part about Lamb's game is that everything he did for Connecticut this season can translate to the NBA, which is a big reason why his stock has jumped so much in the last few weeks. At the same time, Lamb doesn't turn 19 until the end of May and he definitely needs to add more weight and muscle to his 6'5'' frame. The fact that he weighs just 185 pounds is the biggest knock on his pro prospects at this point and another year at UConn which would allow him put on some more weight and be the unquestioned leader of the Huskies would further impress NBA scouts. A player with his combination of length, athleticism, and skill could easily be a lottery pick next season and despite the fact that the first round is a probability right now, Lamb's stock should only continue to rise if he chooses to stay in school. Kyrie Irving ended the speculation and announced that he's not only declaring for the draft but that he will also be hiring an agent, which effectively ends any hope that he could return to Duke for his sophomore season. This doesn't come as much of a surprise considering that he's one of the top prospects in this year's draft and could easily be the number one overall selection in June. Irving was one of the most talked about players in college basketball despite playing just 11 games after suffering a toe injury in early December which forced him to miss the majority of his freshman season. It certainly wasn't a large sample size, but Irving's play as a freshman showed that he has few weaknesses (if any) and he possesses all the tools to be a very good NBA player. There's plenty that a young point guard like Irving could learn from someone as experienced as Coach K but the fact that Irving was the most talented player on the floor in pretty much every game he appeared in during his freshman season, there really isn't much left for him to do at Duke in terms of preparing for the NBA. It's extremely difficult to say no to the NBA when your name is being mentioned in the top two or three picks and as much as Duke fans would love to see him come back for another season, the time is right for Kyrie to make the jump to the next level.